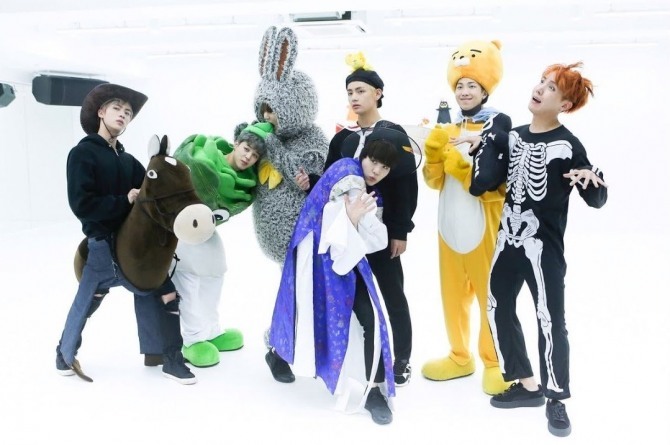 This year’s Halloween has fallen on Wednesday, and although the work day is rolling out quietly for most people without any spooky fun, K-pop fans might find some respite in checking out past four years’ BTS Halloween costumes and speculate about how the members will dress up for this year’s occasion. 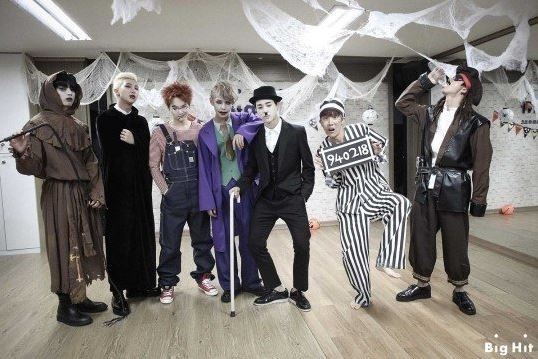 In 2014, BTS dressed up as Dracula (RM), Jack Sparrow (Jin), Satan’s Doll Chucky (Suga), prisoner Papillon (J-hope), Charlie Chaplin (Jimin), the Joker (V) and the Grim Reaper (Jungkook). 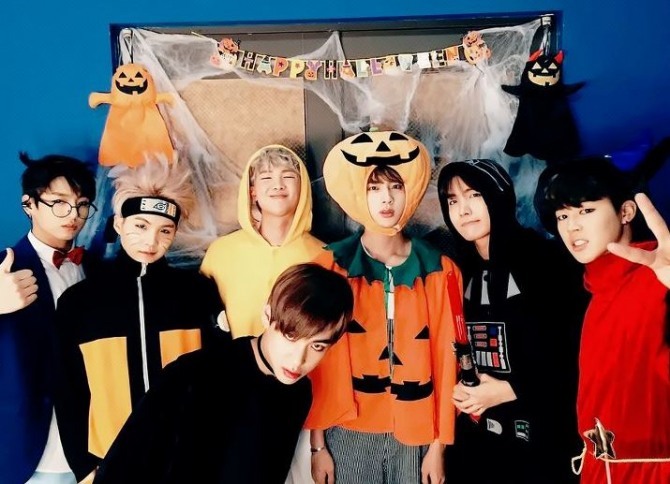 In 2015, they were lazy egg Gudetama (RM), a pumpkin (Jin), Naruto (Suga), Star Wars’ Darth Vader (J-hope), Mickey Mouse (Jimin), a vampire (V) and Japanese manga character Conan (Jungkook). 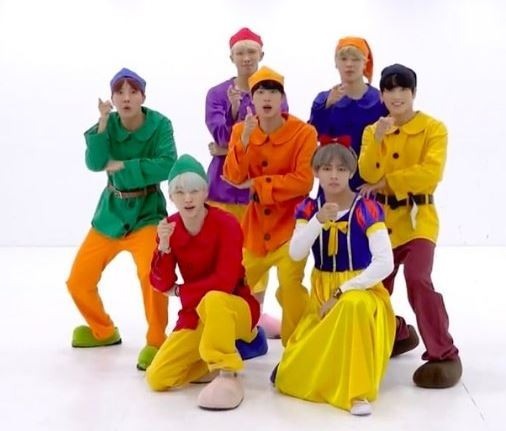 In 2016, BTS became mobile messenger Kakao Talk’s popular emoji character Ryan (RM), a cowboy (Jin), a traditional Joseon-era scholar (Suga), a skeleton (J-hope), a cabbage (Jimin), Cardcaptor Sakura (V) and a bunny (Jungkook). The year 2017 saw a more coordinated group costume. V was the Snow White and the rest were dwarves. BTS hasn’t disclosed any Halloween photos or videos this year. We’re looking forward to what treats (or tricks) they have prepared!